There are a lot of salads out there. Pasta salad. Fruit salad. Coleslaw. Garden salad. Tuna salad. Egg salad. But my favorite all time salad is the Caesar salad. Caesar salad was invented by an Italian man named Caesar in Mexico in 1924. It was not named after Julius Caesar which is a common misconception today. 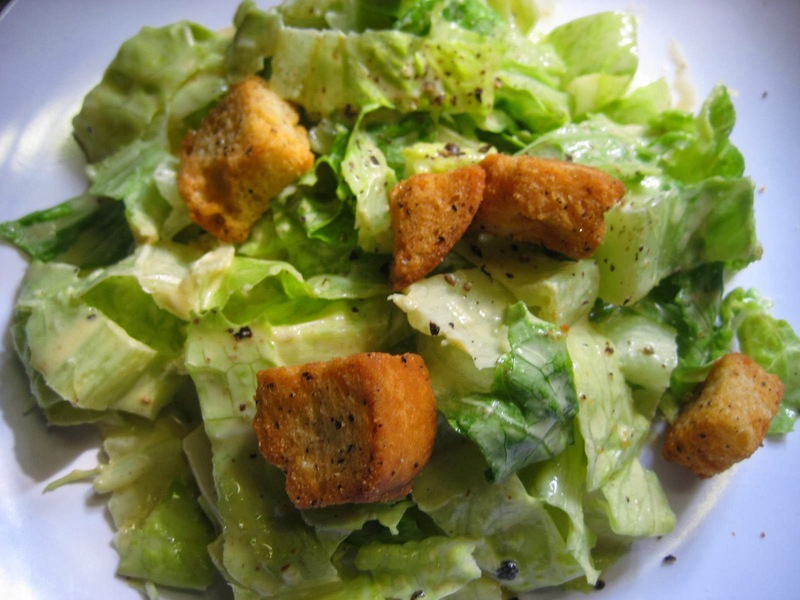 The original Caesar salad did not use anchovies even though the anchovy is a main ingredient in today's Caesar salad along with croutons and parmesan cheese. The original Caesar salad also used whole leaves of baby romaine lettuce and was not chopped up into smaller pieces like it is today, so that the whole leaf can be held by the stem and was, thus, eaten by hand. I, of course, have never seen it done where you used your hands to eat a Caesar salad or any salad for that matter, but I'm sure someone out there has tried it.